Kano has always given a helping hand to the progress of Nigeria. The city, which has loaned its name to be used by Nigeria’s most populous state was according to tradition, founded by Kano, a blacksmith of the Gaya tribe. In ancient times he is said to have come to Dalla Hill in search of iron. The discovery of stone tools there indicates prehistoric settlement of the site, which was selected as the capital of the Hausa state of Kano in (1095–1134). After the jihad (1804–07), the city was chosen to be the capital of an emirate centered on the city. Later still when the British colonized what they called the Northern Protectorate, they enhanced the status of Kano as a centre of administration by making it the capital of the protectorate until this was shifted to Kaduna. Kano was also a vortex of international trade and received kola nuts from Ghana; salt from the Sahara; slaves from the Bauchi and Adamawa emirates; natron from Lake Chad; and sword blades, weaponry, silk, spices, perfumes and books brought from Europe by the trans-Saharan camel caravans in return for Hausa leatherwork, cloth, and metal wares. British forces captured the city in 1903 opening the railway from Lagos in 1912 hence changing the direction of trade south to the Gulf of Guinea. Even though Kano was made famous as an international trading centre, it also developed a bubbling industrial base which retained its prosperity up to the 80s. The industrial districts of Sharada, Bompai, etc, were churning out textiles, knit fabrics, tents, bedding, foam rubber products, clothing, and cosmetics among others while heavy industries manufactured asbestos, cement, concrete blocks, metal structural products, bicycles, automobiles, trucks, and chemicals products that could compete with those from any part of the world. The government of Abubakar Rimi was signature tune for progress. Sadly, the Kano of today is not the good old Kano I knew and enjoyed – forty, thirty years ago. Certainly it has lost the allure and the innocence that attracted young men with their dreams, ideas and skills from all over Nigeria and abroad. Frequent social upheavals – targeted at non indigenes – beginning from the Maitatsine uprising of 1980, have scared away all skilled manpower from Kano. The industrial districts now look like grave yards. I have fond memories of Kano, have some of my best friends from there. But today, every time I go into Kano, I find myself trembling till I leave. In the run up to the 2015 general elections, Dr Rabiu Kwankwaso, then Governor of Kano state invited a select group of journalist (I was one of the chosen few) for a briefing and tour of Kano. He was then angling for the presidential race having had his fill as a two term governor of Kano. In the course of the briefing, we asked the almost inevitable question of succession in Kano. This question came up because the man appeared to have made huge progress in his last four years. The governor took us down the history lane. He had been governor of the state between 1999 and 2003, the year in which he lost an election to go for a second term. Sadly, he told us, his successor spent a lot of energy destroying all he built in the state and what he did not or could not destroy, he appropriated as his own achievement. That explained why his government adopted the Kwankwasiyya ideology. He was going to make sure his successor was a believer in Kwankwasiya. Rabiu kwankwaso lost in his bid to be President of Nigeria in 2015. At the primaries of his party the APC, he came second to Muhammadu Buhari who went on to win the presidential race. But his veteran comrade, Abdullahi Umar Ganduje who had worked with him in 1999 -2003 and again 2011-2015 as deputy Governor went ahead to be the Governor to succeed him. Who could have been a better believer in Kwankwasiyya than the man who was there when it was conceived, invented and implemented? It was rather strange to some of us that right from day one, things fell apart with the two believers and collaborators. The red caps started fading and Kwankwasiyya was soon to become heresy and history. It makes me sad, as sad as the last Emir of Kano Ado Bayero was at the time of his death. The last two years of his life were most traumatic. In 2012, Boko Haram launched a fierce attack on his city, killing over 200 people in a day of senseless mass murder. It made the man whom you could not read his face on any occasion shed tears in public. Then just a year before his death in 2014, some gun men came and opened fire on him in broad daylight after he had left a mosque. The attempt on his life failed but his driver and his body guards were killed instantly. A few years before that tragic event, it would have been unheard of for an Emir to be gunned down on the streets no matter how much his people hated him. We grew up believing that the Emirate system is based on absolute respect for the office and person of the Emir. If an Emir like Ado Bayero who represented the best of what that institution could give would be subjected to the gunfire he faced in public then there must be something terribly wrong with the system. It is due for reform. 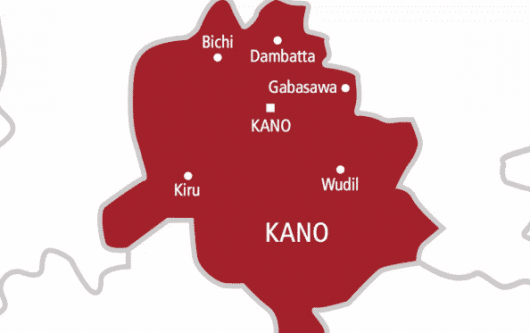 Kano must look back to its progressive years and lead this reform. The way to start it is by reforming the almajiri system. As President, Goodluck Jonathan started a good programme the other day on the almajiri system. It reminded me of the mid-80s’ while I was an editor with the Kano state government owned Triumph Newspapers. The people of the state at that time started Kano Foundation (Gidawniya). One of its laudable objectives was to integrate almajeri into the western educational system. I don’t hear of it anymore. Almajiri is a security nightmare for Nigeria. We are grooming millions of young lads without skills to make a living and with a half-baked understanding of what Islam is. Kano is a perfect example. When you go there, you see hordes of unemployed young men moving menacingly everywhere. These are ready tools for use in any anti progressive and anti-democratic plot.